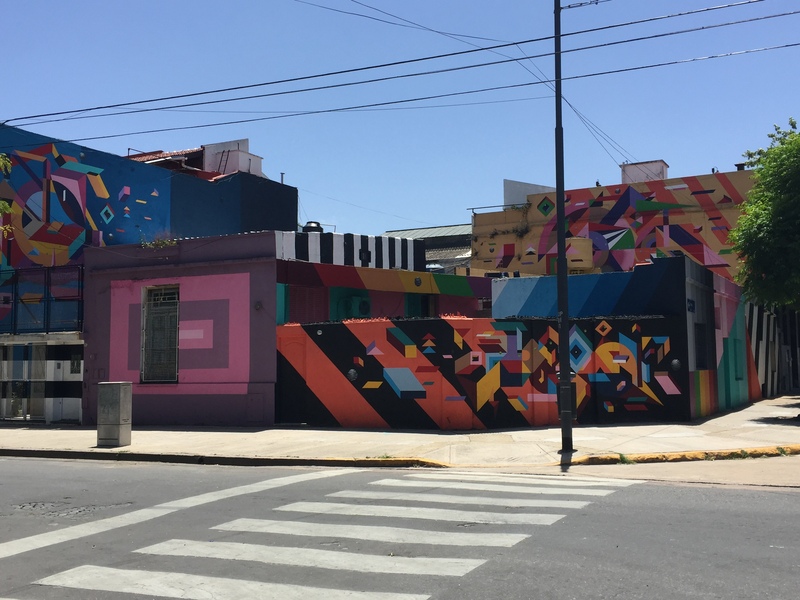 In an effort to build trust, expand economic opportunity, and deliver services to underserved neighborhoods, the city government in Buenos Aires is setting an example by establishing a presence in new parts of the city. As part of this effort, the government has moved major ministries and other government facilities into a variety of poor and underserved neighborhoods, along with municipal personnel. While the construction of physical buildings can help contribute modern infrastructure to these areas, the presence of government workers in these areas brings a mix of valuable benefits. The relocation is undertaken strategically, and its impact is two-fold: (1) it sends a symbolic message to these communities that their government is accountable to them, belongs to them, and is accessible; (2) it provides these neighborhoods with a real, daily infusion of economic and social activity resulting from the influx of thousands of municipal employees who now work in these neighborhoods. When you come every week, they start to believe you. We are breaking the circle of skepticism in people who were promised things for decades, yet you can see for yourself how things stand. In economically distressed communities, local government can feel like a remote, inaccessible resource that is disconnected from the reality of life in the city. Such perceptions inhibit citizen engagement and undermine trust in democratic institutions. Particularly in large cities, where the nearest major government centers may be great distances from other neighborhoods, the lack of a visible presence may contribute to certain residents’ sense of remove - physically, socioeconomically, politically - from the priorities of the government. When Buenos Aires leaders wanted to revitalize the southwestern neighborhood of Parque Patricios -- an area with poor access to transit, commercial activity and security -- they took some fairly conventional steps: tax breaks for businesses; programs for entrepreneurs and residents; and subway and bike-share stations. Then in 2015, the mayor’s office and its 1,200 employees left the city center and relocated to Parque Patricios, signaling serious interest and desire to revitalize the area. The building itself - light-filled, and walled with glass - signals a commitment to transparency, and the government’s presence anchors a district filling with the types of global industries likely to attract talented workers who have traditionally looked for opportunities outside of Argentina. In the same spirit, the city announced in 2017 that its Ministry of Education would relocate to the impoverished Barrio 31, one of the oldest informal settlements in the city, as part of a 400 million euro Comprehensive Urbanization Plan supported in part by the World Bank. Also in that neighborhood, Mayor Rodriguez Larreta set up a Center for Entrepreneurial and Labor Development, an office from which he now works one day each week. And several other government agencies now plan to house workers in Barrio 31 as well – a neighborhood that, until last year, didn’t even have a school. The strategy has also created opportunities to restore historic buildings into modern facilities with potential to catalyze economic development. For example, the Palacio Lezama was constructed in 1910 as the gleaming headquarters for the traditional “Bizcocho Canales” biscuit company; the building is now a 21st-century innovation center, home to the city’s Ministry of Modernization and Ministry of Urban Development. Another historic building, Elefante Blanco, was once destined to be the largest hospital in Latin America, but was subsequently abandoned; the City has announced that the site will soon become home to the Ministry of Human Development and Habitat. Even where new buildings haven't been constructed, the government’s goal of expanding its presence and visibility into underserved neighborhoods has also manifested through innovative programs that place government representatives on the ground among residents of these areas. For example, the City has turned its 54 police precinct offices into hubs for neighborhood engagement, community feedback, and government accountability. Every month, a senior official from the Mayor’s administration appears at these offices to answer questions and share progress on priorities with the local residents - and by sending each senior official to the same location each month, the residents are able to follow-up on progress, giving them regular interaction with a government leader and contributing to a culture of inclusiveness and accountability. By spreading the government’s presence across the city, officials believed they’ve helped to improve trust among residents and contributed to a more equitable and inclusive approach to government and economic development. The commitment has helped galvanize global attention to the neighborhood, with the World Bank providing technical assistance to integrate energy efficiency strategies to improve the area’s infrastructure. The administration will continue to press this strategy in the neighborhood over the upcoming year, when the City’s Ministry of Education is scheduled to relocate to the area. The City’s presence in that neighborhood, combined with a package of economic incentives, has yielded an influx of more than 250 new businesses, bringing more than 12,000 workers to the area each weekday. However, there are signs that the neighborhood’s promise is not yet fully realized. Observers have identified several ways that the City might further leverage its presence to contribute to the neighborhood’s economic ecosystem, including through programming at the Parque Patricios itself or through infrastructure changes to make the area more walkable, accessible, and connected to other neighborhoods. Despite this infusion of activity and ancillary commerce, reports have suggested there are limits to the transformation. For example, because these workers commute in for weekdays, their absence in the evenings and weekends has limited the opportunities for restaurants and other amenities. Transplanting a daily influx of commuters - particularly where those commuters may be of a different socio-economic status than those residents of the host community - can contribute to tensions if not handled delicately. City officials in Buenos Aires report that public consultations have helped to mitigate those risks; cities should be attentive to the impact - and potential disruption - that can result from relocating to underserved neighborhoods. Although there have been no cases found of political leaders relocating their physical body to other underserved neighborhoods, Amersfoort provides a case where the city administration has taken risks to become closer to its citizens. In 2014, the General Director Nico Kamphorst challenged all city administration employees to become ‘free-range civil servants.’ This has led civil service employees to get out of their offices, play a more active role in the field, and interact with citizens. After civil servants gather information from the field, they bring back useful knowledge to the city administration and learn how to strategically prioritize the needs of citizens. One example being when the old Elisabeth hospital was scheduled for demolition--instead of rebuilding a structure in its place, the city council decided to turn the site into a green area. Rather than the city administration taking responsibility, employees of the administration asked citizens directly, in person what their vision is for the green space. They allowed local residents to decide on the design and maintenance of the new area. It is apparent that the city council is taking measures to improve visible leadership while also allowing citizens to produce outcomes they want.